Which Book Does PUBLISHER’S WEEKLY Call, “A Near Perfect Union Of Pictures And Words”? 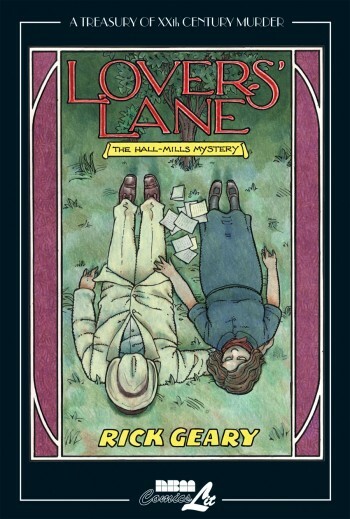 That’s Lover’s Lane, the setting of Rick Geary’s new book in his Treasury of XXth Century Murder series, Lover’s Lane: The Hall-Mills Mystery. Have you read Stargazing Dog yet? You should, as the YALSA has nominated it as one of the 2013 Great Graphic Novels for Teens. And reviews are still coming in for P. Craig Russell’s The Fairy Tales of Oscar Wilde Volume 5: The Happy Prince.